And you thought only the Vivo V15 Pro is launching with a 32-megapixel pop-up selfie camera within the quarter. If a recent report is to be believed, the OPPO F11 Pro, which also has the same feature as the upcoming Vivo phone, will be officially announced in the first week of March in India. We believe it will arrive in the Philippines as the OPPO F11, just as the OPPO F9 Pro was released here as the F9. A leaked poster shows the device in all its glory. You’ll see a screen with super-thin bezels, a gradient back panel, and a dual-rear-camera module arranged vertically at the top-center part. Don’t expect an under-display fingerprint sensor; there’s already a physical fingerprint reader on the back. 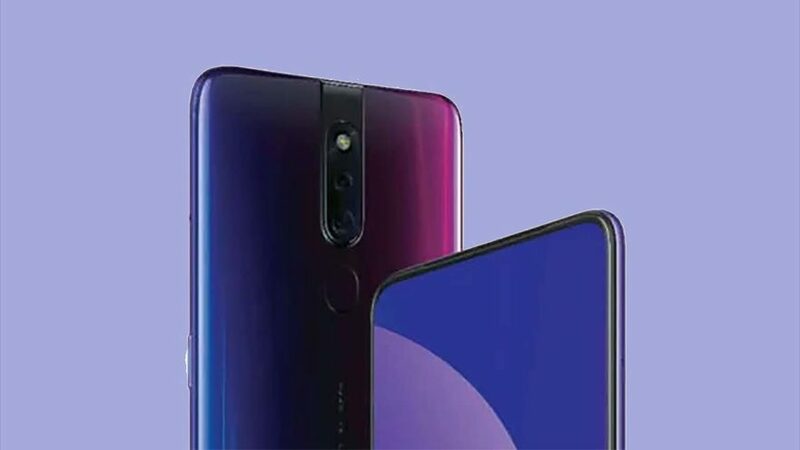 Word has it that the OPPO F11 Pro’s primary sensor is 48 megapixels and works like the one in the Redmi Note 7, where 12-megapixel pictures are captured and pixel-binning technology is used to take it to as high as 48 megapixels. Unlike what is reported to be a Qualcomm Snapdragon 675 processor inside the Vivo V15 Pro, a MediaTek chip — paired with 6GB of RAM and 128GB of internal storage — supposedly powers this OPPO smartphone. This could mean that the F11 Pro could be cheaper than the Vivo handset. Are we going to see it at OPPO’s February 23 innovation event at MWC 2019 in Barcelona, Spain? We doubt it, but we’re hoping to get a sneak peek at the unit.